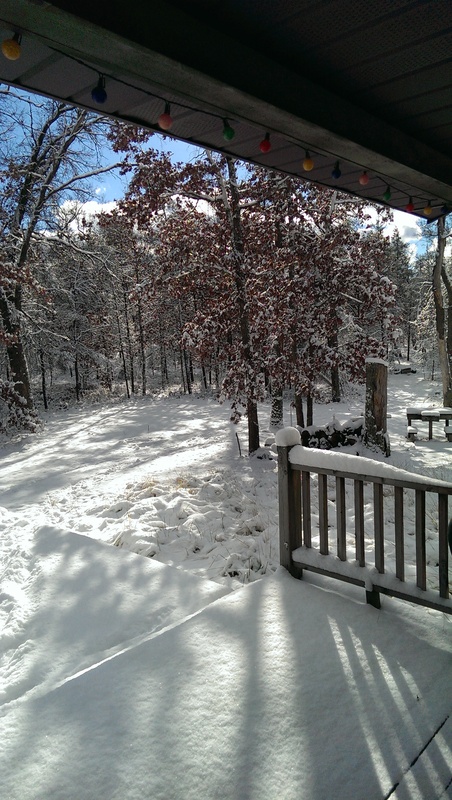 Another November deer hunting season is here with cold weather, no snow to start with and a new rifle along with 30.06 loads to test. 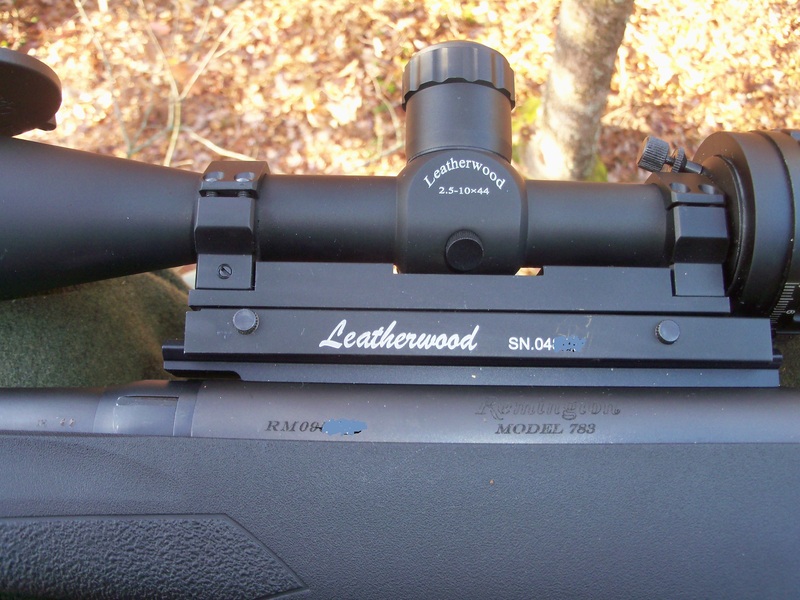 I mounted a Leatherwood ART 2.5-10×44 scope to on a Remington model 783 chambered in the classic 30.06 round. 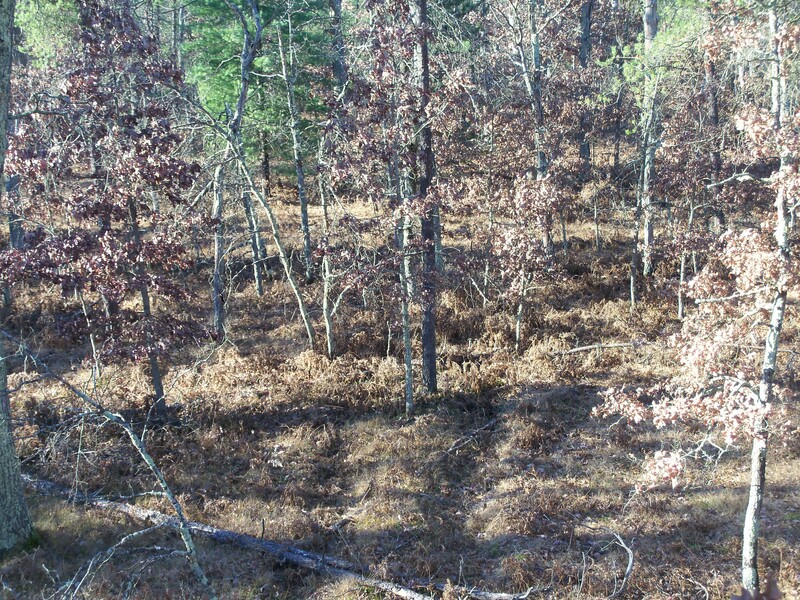 Northern Michigan white tail deer are an exciting game animal to hunt and require time in the woods to pattern them. 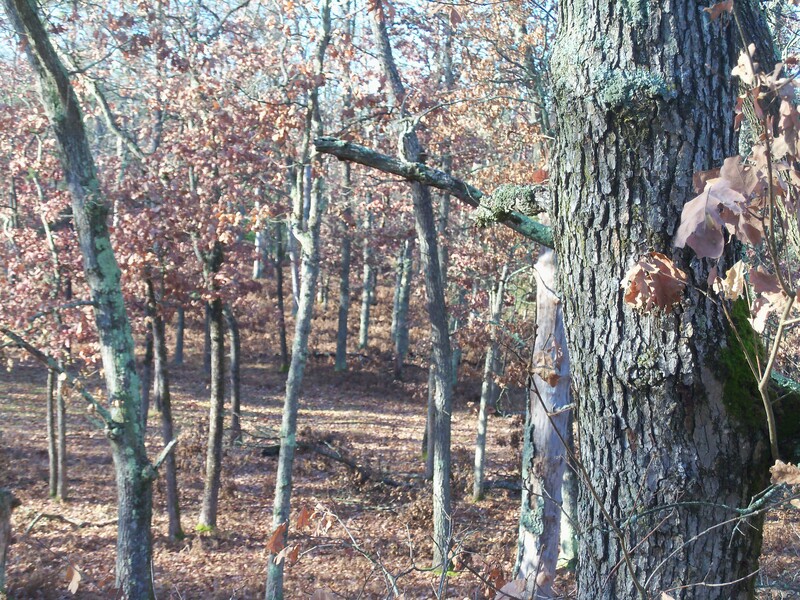 I took some photos of the trees we sit in showing the tight shooting opportunities for taking a Michigan white tail. The Remington 783 is very light with a 24″ barrel and composit stock this rifle was accurate right out of the box, during range evaluation. 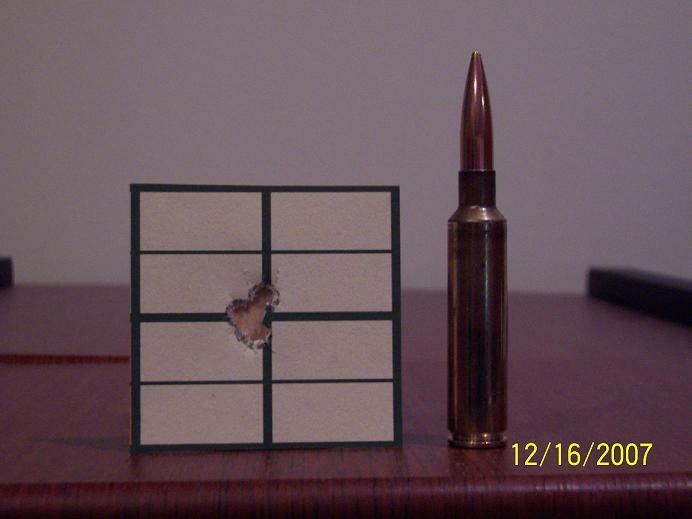 I shot some 30.06 M1 Garand nation match 168 grain ammo and was suprised at how well it grouped. With some load work and a switch to IMR 4064 this Remington 783 came alive and started drilling rounds down range! Five shots in one ragged hole now thats better. I mounted a Leatherwood ART scope that will dial down to 2.5 power for these tight shots allowing a big field of view for locating game. One mention about the cross fire trigger on the 783 is that it feels very crisp, breaks like a glass rod and is adjustable down to 2.5LB of pull. This is a five shot group at 100 yards with 150 grain sierra pro hunter bullet sitting on top of 51.2 grains of IMR 4064, ignited with CCI BR2 primers. 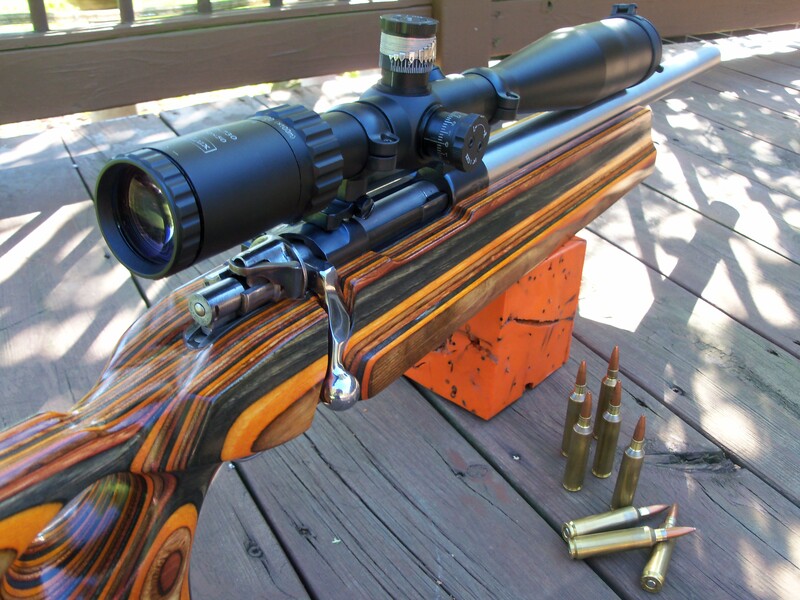 I have reviewed the optics and rifle in past blogs so I wont rehash the topic, however this rifle is chambered in 30.06 and with an estimated 3000fps load this 150 grain pro hunter bullet should nail a Michigan white tail “DRT” ( dead right there). This doe was taken with the 783 on a cold morning and the recovered bullet shows excellent expansion dumping all the energy into the deer dropping it right in her tracks. With cold weather and snow falling down during an early morning hunts the warm cottage and hot lunch was an inviting break. Thawing out the rifles and ourselves became a daily routine. If you are looking for a economical rifle that functions flawlessly along with an excellent trigger the Remington 783 is a great deal. 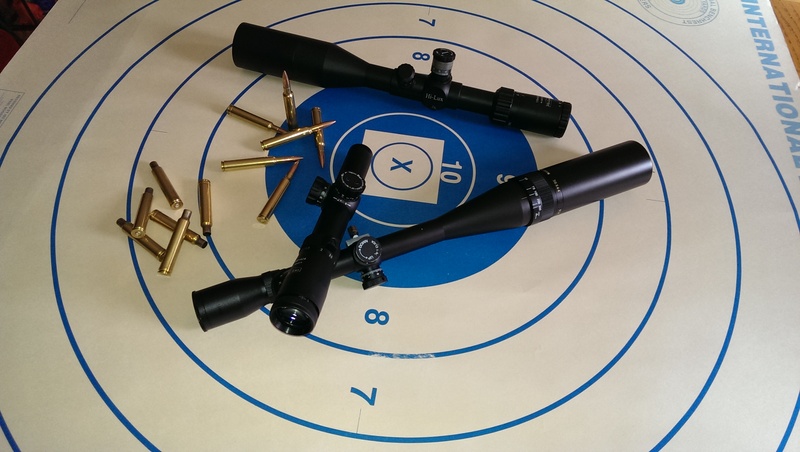 Accuracy was sub MOA with both the .243 and 30.06 I tested, along with fantastic Leatherwood HI-Lux optics ( 4-16×50 uni-dial & 2.5-10×44 ART ). 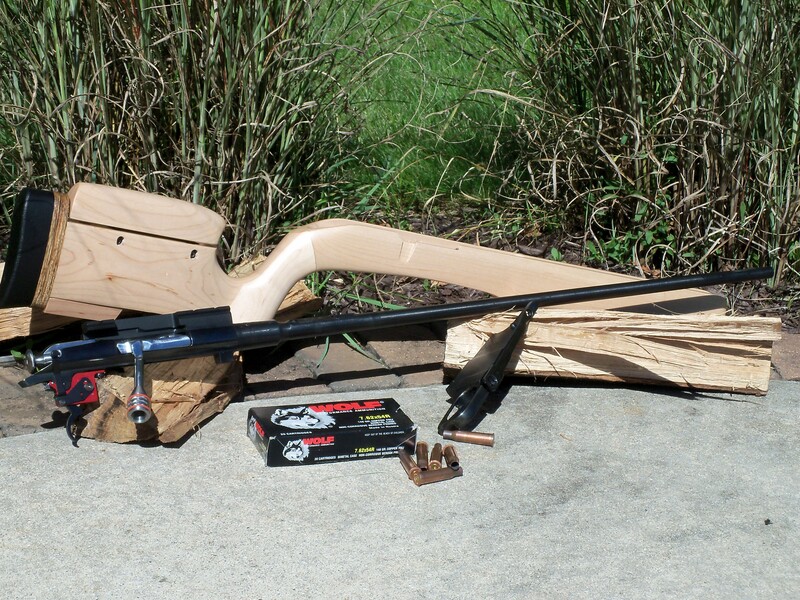 This hunting package is hard to beat and inviting since you don’t need to invest $900 to build it. I hope you filled your tags with venison this season and had a very Happy Thanksgiving sharing good times with friends and family. Until next month get outdoors and burn some powder! More years ago than I care to remember I had worked on a rifle for my Uncle Gale, he took me on my first Canada fishing trip then again my first Northern Quebec Caribou hunt those are great memories and awesome northern lights too. 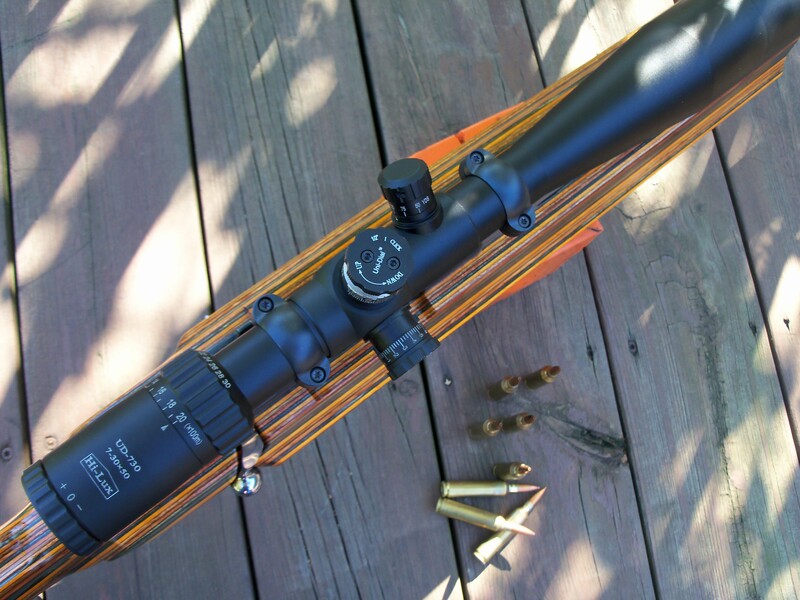 The rifle was a Mosin Nagant that was to be sportorized Nagants are not the sleekest looking rifles I thought to myself back then along with the chambering in 7.62x54R which is not to popular. He mentioned that he wanted something unique, not something everyone has so I did the work he requested and delivered a sporter Nagant to him. 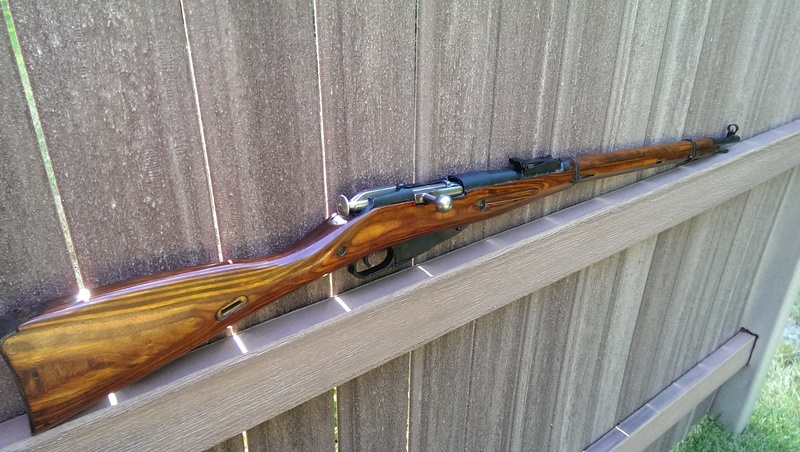 Funny that ever since then I have kept an eye on those particular rifles watching prices go up and down along with surplus availability, I don’t know why it just seems recently I thought that it would be unique to build a Tactical Mosin Nagant (yes I said unique). I found a web site (www.socamo) was running a TV channel on ROKU TV (the mosin nagant channel) I watched several shows and thought Wow these rifles are really accurate. I found myself picking up a Century Arms International Russian 91/30 rebuild with a 28” barrel and a very nice looking bore! Most available 7.62x54R ammo will have bullets measuring .311” and this barrel slugged at .312” so reloads looked to be in order. Inspecting the rifle parts revealed components to be in excellent shape and I started removing the sights from the barrel. Rock Solid Industries (www.rocksolidind.com) and Blue Grass Gun Works (www.bg-gunstocks.com) have some very nice custom parts for building Tactical Nagants and after talking with them I ordered the needed items. A threaded Tactical handle along with a knurled bolt knob finished off the bolt body and the holes needed to be drilled and tapped on the receiver for the Weaver scope base (beefy 10-24 bolts are a nice touch). I polished and blued the receiver to a nice high gloss finish along with polishing up all related bolt components, this allows for a smooth working bolt. 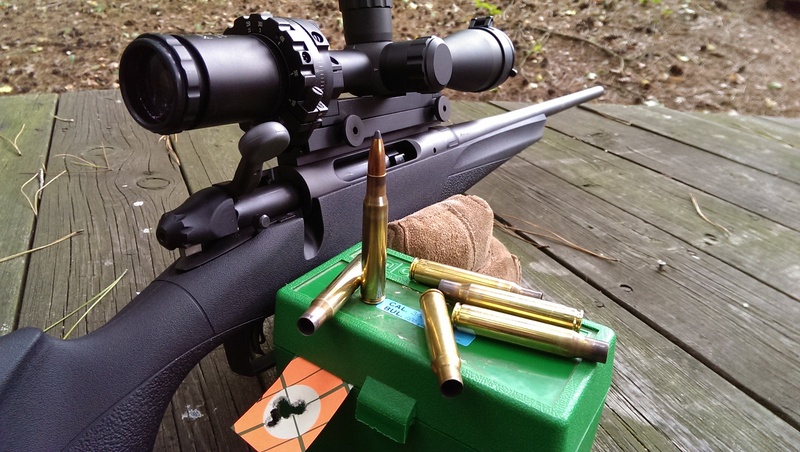 There are several little tricks to smoothing out a Mosin Nagant action and bolt for super smooth operation and bolt preparation is at the top of the list! Fit, polish, and lubrication along with slightly lightening the firing pin spring will reveal tremendous benefits with feel and function. With not removing the original barrel I chose not to do any bolt lug work as not wanting to alter headspace with the 7.62x54R round. The stock I ordered was a Special Force Tactical in Maple it’s loaded with nice features including swivel studs, aluminum pillars, and adjustable cheek piece all this along with a soft rubber recoil pad round out a super nice looking stock. Once the stock arrived glass bedding was in order, I always add an extra recoil lug bedded into the stock just behind the front receiver lug recess. I think this added support helps keep the receiver from any rearward movement from recoil and along with pillars and full stock bedding things just don’t move! Timney supplied the trigger (www.timneytriggers.com) and is the only aftermarket adjustable trigger that has great reviews so yep I put one in. Adjusting down to 1.5 pounds of pull was easy and no slam fires happened during testing, adding an aluminum trigger shoe helps dress up the looks along with providing a wider pressure point for your finger tip. With the receiver and bolt work done I focused my attention to the barrel, I didn’t like the small diameter and pencil looking barrel however I didn’t want to invest in a new barrel either. Looking back in my American Gunsmith Association publications I found an article by “Norman Johnson” Barrel Sleeving A New Way, October, 2012 . I like to experiment with different things when working with guns and the concept of sleeving a barrel to improve accuracy and dull vibration harmonics really interested me. I researched other theories on the barrel sleeves along with types of compounds to fill the void between the barrel and outer sleeve, nodes of vibration and barrel whip are all very interesting subjects. 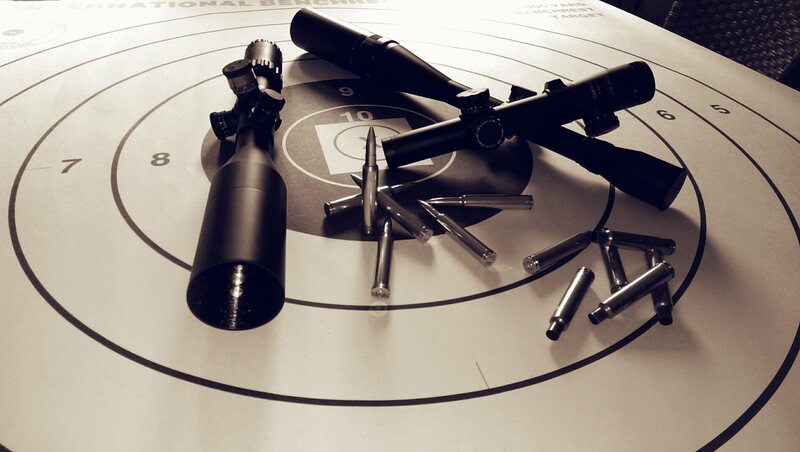 One interesting fact was the need to displace heat generated during firing the bullet thru the barrel along with the ability of the compound to withstand the shock of recoil. While digging thru data I found a company the does exactly what I was planning to do, The Straight Jacket is the name of the product and with the price being more than I wanted to expend I ordered up some material from a local supplier and headed out to the shop for some machining time. I have an old Atlas Laith that I use, no cnc programming no electric beds just good ole fashion 1930’s dials and pulleys. There’s something nostalgic about building parts off these old machines that I really enjoy. military barrel along with 1-1/4″ stainless sleeve. 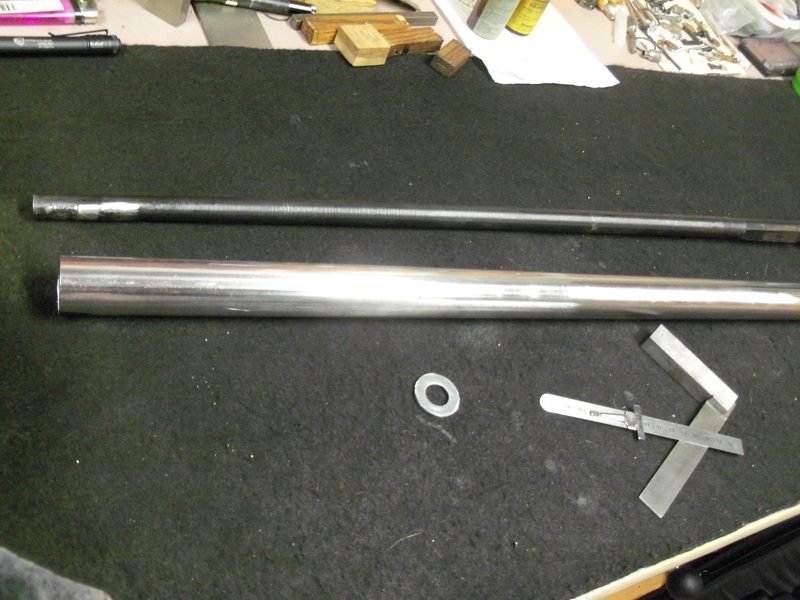 The Mosin Nagant project really took a turn at this stage of the build, I had ordered a 1-1/4” stainless steel tube and cut it down to 28” long, that will cover the entire military barrel that now sports a newly cut 11 degree target crown I had just cut. Turning to a depth of 3” the inside diameter of the sleeve to .003” under the barrel outside breech measurement will provide a nice tight press fit. Along with the sleeve I made a muzzle cap to fit around the barrel muzzle and inside the sleeve to finish off the muzzle end. An important note here is metal coating to prevent corrosion from the heat displacing compound, the barrel must be properly coated to protect it from any form of weakening. After an epoxy coating process and mixing up a batch of special formulated adhesive the sleeve was pressed on, bore plugged and then filling of the empty cavity. 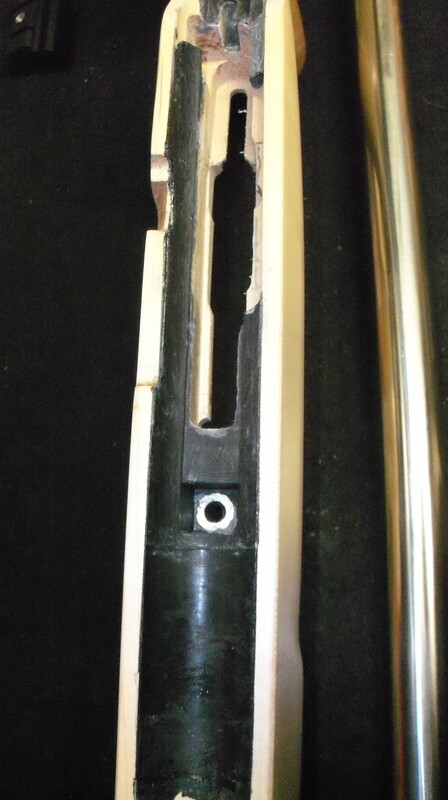 Once cured the sleeve is solidly attached to the barrel and ready to assemble to a complete rifle. A finished Tactical Mosin Nagant wearing a blonde maple stock looked very nice with the 28” long stainless barrel, now to see if the labors will pay off at the range. barrel filled with compound and muzzle cap installed, letting things cure. Once out to the range with a newly built rifle and some factory ammo I am thinking if this rig will print 1” groups at 100 yards I’ll be fine with that. I can always load up some rounds to try and tighten up the groups, the sun was gleaming thru the leaves with temps in the upper 50’s a 25+ mph wind was blowing across the bench keeping things interesting. 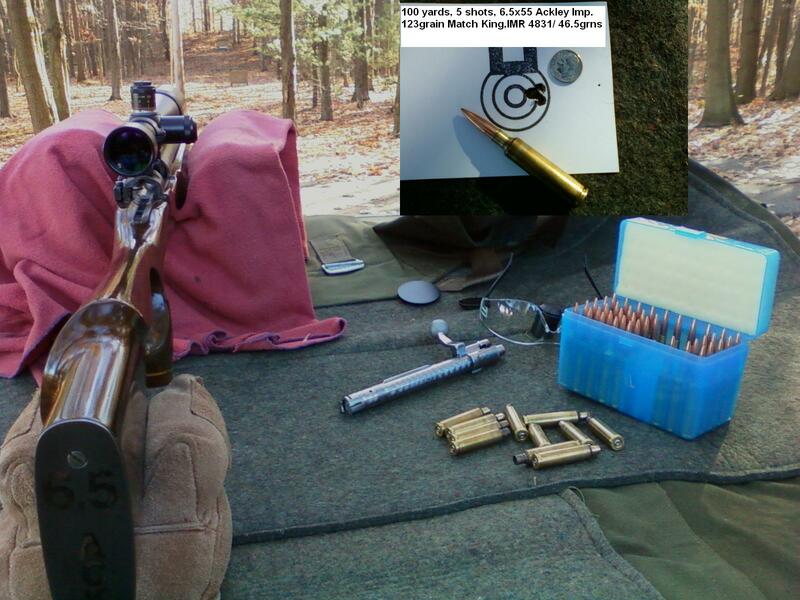 A quick check at 50 yards easily zeroed the Leatherwood Uni-Dial 4-16×50 scope then out to 100 yards to set the initial zero, 148 grain bi-metal jacket Wolf “white box ammo” started the range day and 100 yard results had groups printing around 1-1/4”. Not to impressed with the accuracy would be an understatement although I did note that the barrel was not very hot after several rounds cooked thru the bore. 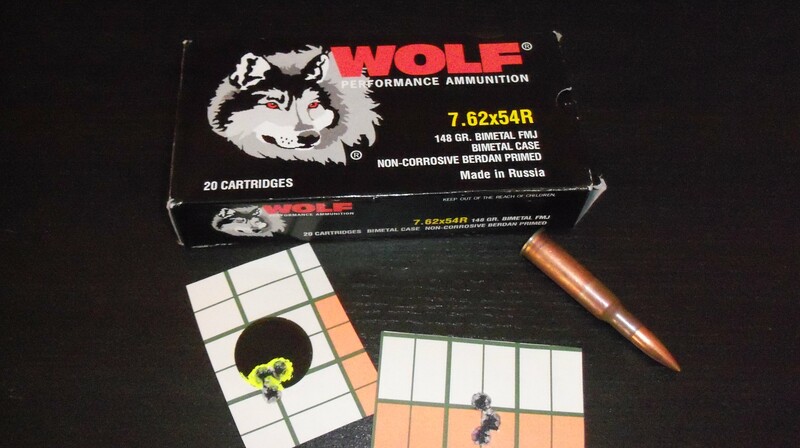 Switching to the same type of ammo in Wolf’s “Black/Red” box really turned the day around! The first three rounds made a nice crescent ½” group, this is a freak thing I thought judging from previous rounds fired. Timing the shots again I touched off three more rounds and watched as they made one ragged hole at the bull’s eye, that’s more like it the blonde Russian Mosin Nagant started to really settle in and drive some impressive groups with Wolf ammo. 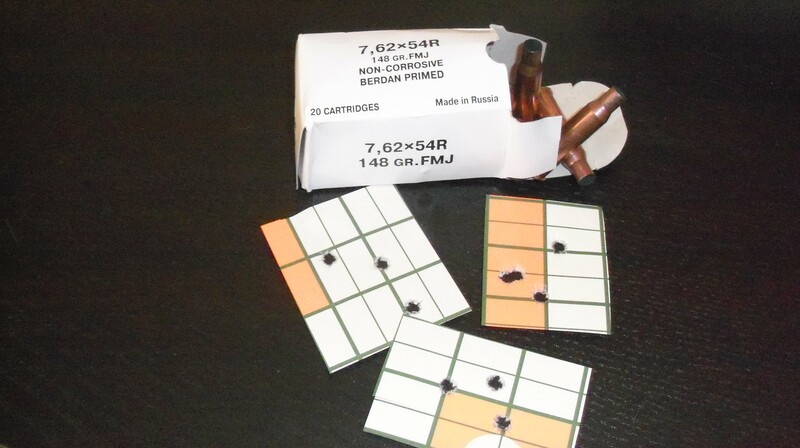 Steel case, bi-metal jacket bullets and all at economical prices that shoot darn good. What’s not to like about that! When someone mentions what are you going to do with that old beat up gun, just smile and start putting on the Long Sleeves! that’s more like it sub-moa @ 100 yards! I have some really great news about the Remington 783 chambered in 30.06 along with the Leatherwood ART 2.5-10×44 scope I mounted on it. I’ll fill you in after deer camp. 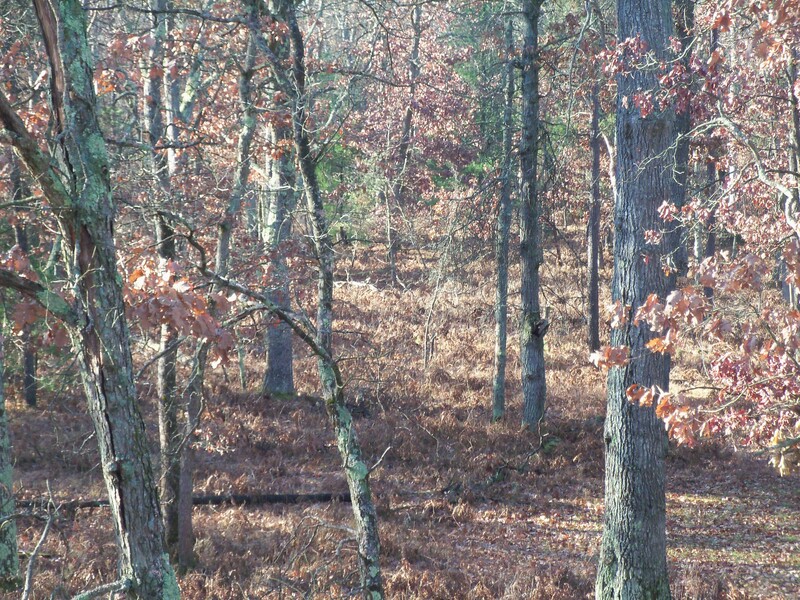 Until then get out there and enjoy the outdoors with your favorite rifle. This month I am writing about a tech topic relating to custom work when a specific cartridge is used. This project is within the ability of anyone with access to minimal tools and a welder. Mauser rifles have a certain attraction to be built into various chambering’s you can find them most anywhere learking around gun shops hiding at gun shows and even forgotten in a gun safe. 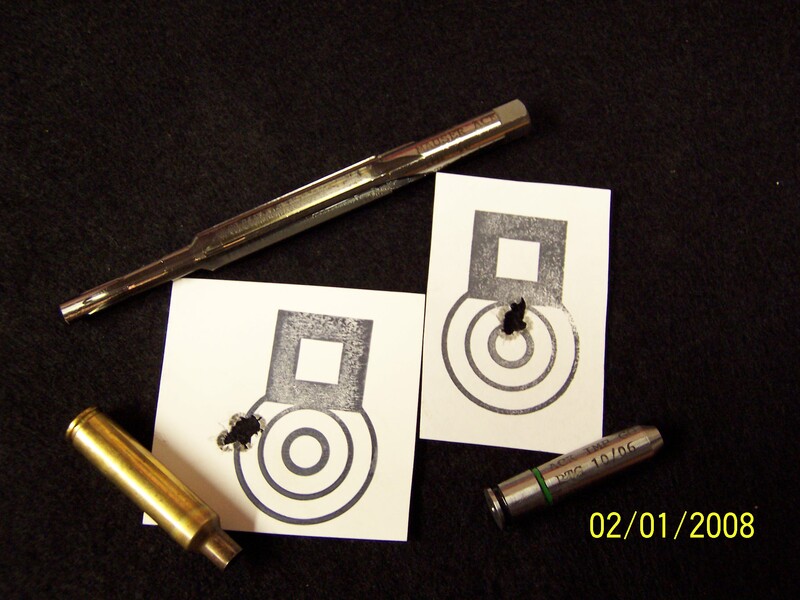 Some feed without issue while others drive the owner’s nuts with shorter/smaller diameter cartridges. This article will cover just such an issue, I was working on a M98 Mauser chambered in the iconic 220 Swift. You may wonder why someone would re-barrel a M98 Mauser action to a shorter, smaller diameter cartridge and have feeding and chamber jam issues while striping a fresh round from the magazine. This rifle in particular was a Large Ring M98 Mauser military action with a fresh 220 Swift barrel, when the magazine was loaded with rounds the bolt would push the rounds back and forth while manipulating the bolt. An overly large magazine space for the smaller 220 Swift cartridge would cause the cartridges to become jammed in the magazine as some cartridges would be pushed extreme forward while others would be pulled reward with the top cartridge occasionally popping up out of the feed rails. This is a common issue when the magazine is sized for a 30.06 sized cartridge, some of you may be thinking why not buy a short cartridge follower conversion kit? 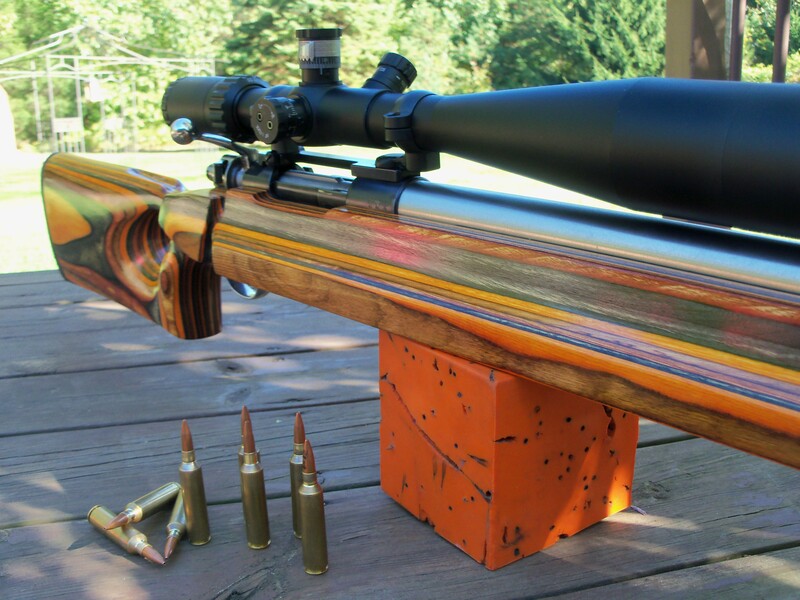 Yes that would be an option however I wanted this rifle to feed and chamber a 220 Swift round smoothly every time. With various countries manufacturing Mauser actions and with minor fluctuation in tolerances there would be no way to be certain a conversion kit would be a drop in fix. On the bench I would load a dummy cartridge in the magazine and observe how it feed as it was stripped from the follower. As the cartridge was pushed forward there was not enough upward angle to position it for a smooth entry into the chamber, what I needed to do was angle the follower to help point the cartridge into the chamber. With the follower removed I filed a tapper angle to the left side top rail of the follower top that contacts the receiver left feed rail. The follower measured .368” on the back edge and .300” on the front edge, I removed .168” of metal from the front edge while tapering an edge to the rear of the follower. 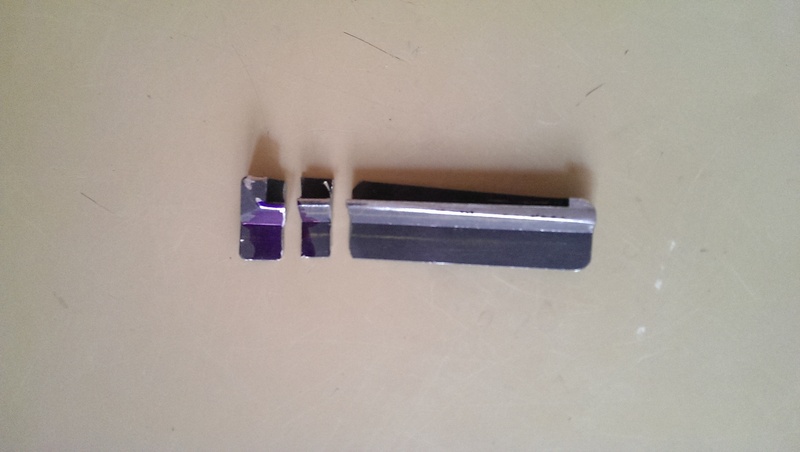 This was enough to start the cartridge in a good angle for chambering while pushing the bolt forward. This worked good for single round feeding however I wanted to fill the magazine and continue to strip and feed rounds smoothly. I needed to determine what length to cut the follower to, this 220 Swift barrel had a 1-12 twist and 55 grain bullets would be the heaviest loads used. 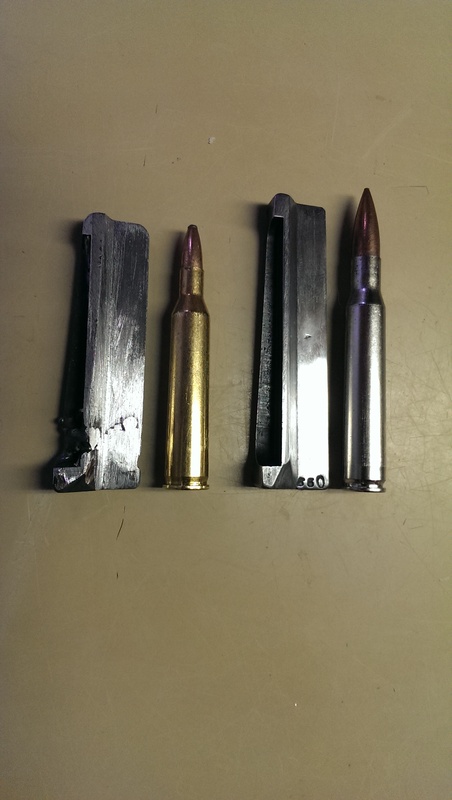 I measured factory cartridges with 50 & 55 grain bullets loaded in them and settled on an average cartridge overall length of 2.600” allowing some extra space to prevent jammed cartridges in the magazine. 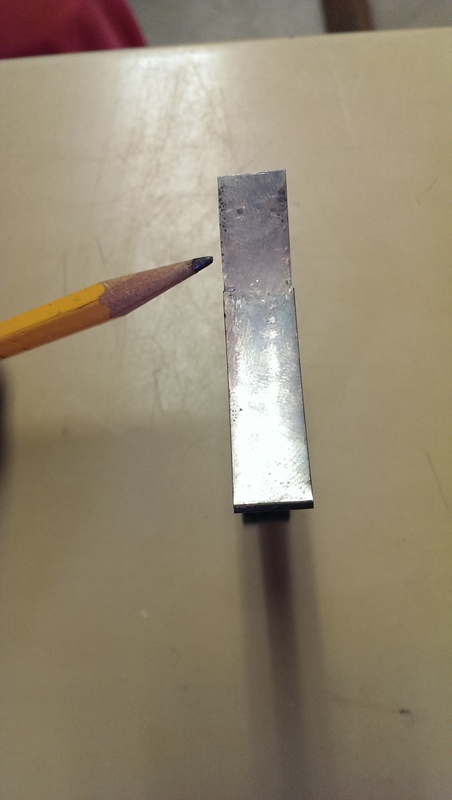 This measurement would determine that I needed to cut 10mm off the follower to make a full length cartridge bed for the modified follower. 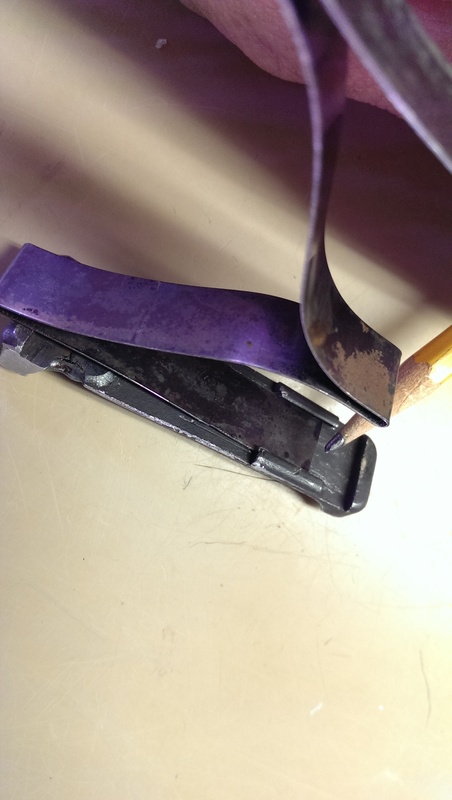 The cut was made slightly ahead of the back edge of the follower as I would weld the back piece back on, once welded back together then with some filing, shaping and polishing the now shortened follower fit the desired cartridge length perect. The magazine well will need a block to fill the gap created by modifying the “shortened follower”. 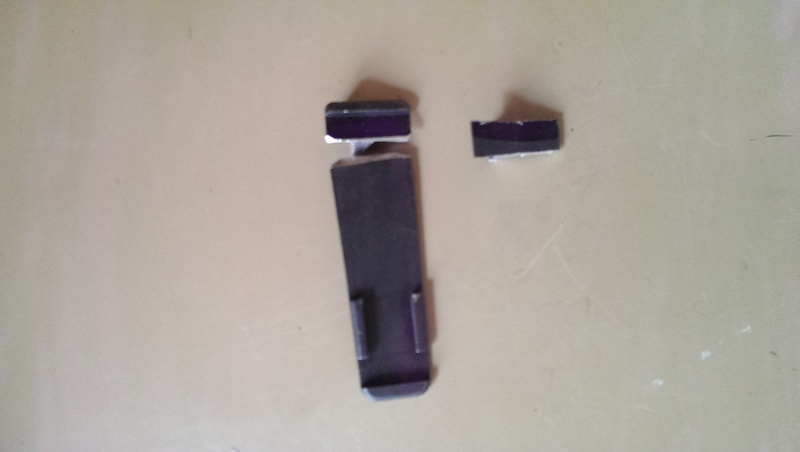 I used a piece of black nylon with rough measurements of 45mm x 17mm x21mm, since all Mauser’s have slight differences in trigger bottom metal you will need to hand fit the block to the individual metal. With a belt sander small amounts of material can be taken off while test fitting the block, it’s ok to make the block fit the sides of the magazine snug however the block should allow the follower to move freely through full travel without any binding. A final smooth polish to the follower cartridge face side of the block will ensure cartridges slide freely against it. The block will need to be cut to correct length to allow a snug fit from the receiver inner feed rail stop to the removable bottom metal, work slow and test fit often for a perfect fit. Next up on the block fitting will be opening up space for the bolt to pass over it while still keeping the cartridge held forward while lying in the follower. 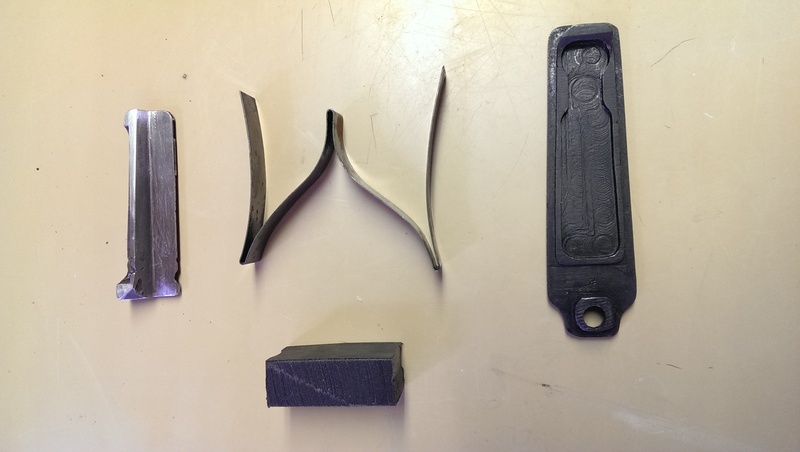 A dermal tool with a drum sander will make quick work of this task, again trial fit and remove small amounts of material at a time. 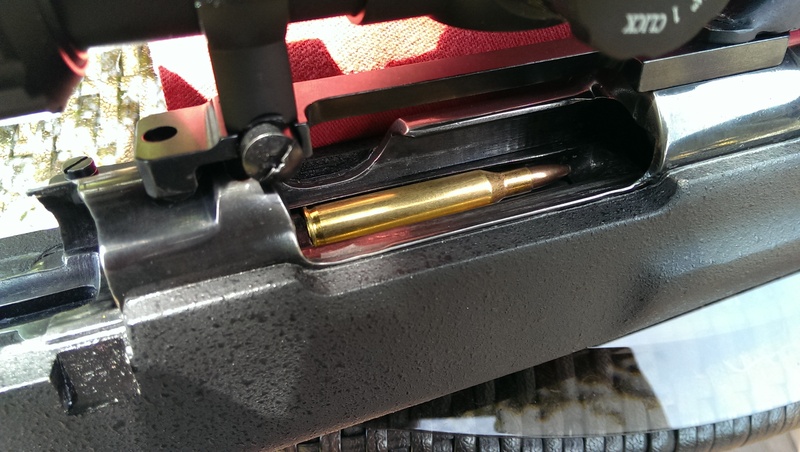 Once fit the bolt should not bind anywhere as it passes over the magazine block while also having the cartridge head stop against it. With the block and follower made a correct size magazine spring will need to be selected, I have quite a pile of left over magazine springs to dig thru hoping to find a favorable donor (another reason to keep old gun parts). A magazine spring is selected by measuring the space from the front side of the new block to the front inner side of the magazine well. With the spring compressed the center leaf length needs to fit in the magazine space with plenty of free movement. 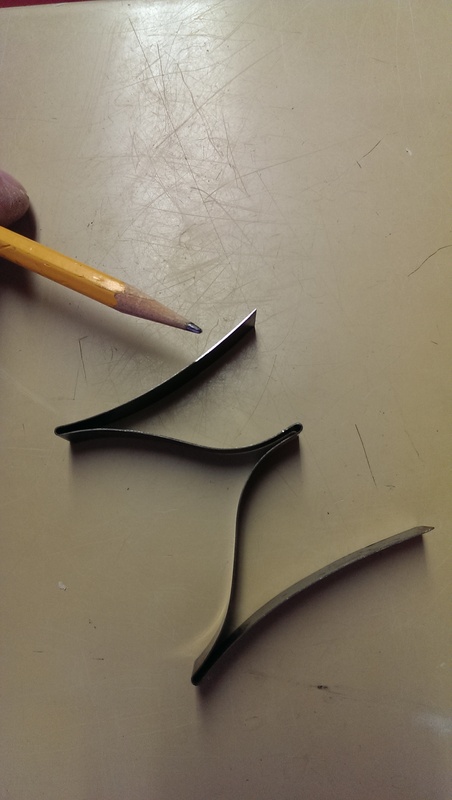 The leaf that fits into the follower spring clip will need to be shortened and have the narrow side section filed back to allow full engagement into the follower groove while allowing the rear portion to be held against the follower stop. Test fit the spring by pushing the assembled spring and follower down into the magazine. 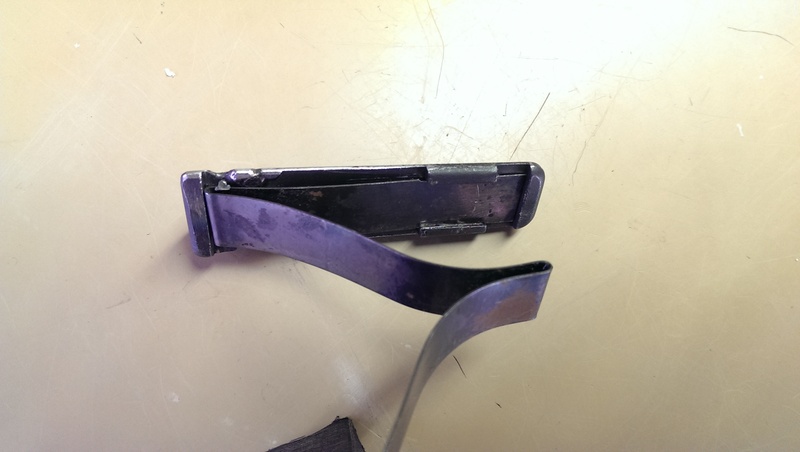 When binding is noticed the cure is to shorten the leaf spring that fits into the floorplate. When this spring section is shortened it allows the magazine spring to pivot the follower forward allowing free travel thru the magazine. Now you should have smooth feeding cartridges when fully loaded into the magazine along with a good feeling push feed when stripping a fresh round. Modifying the follower and associated parts to accommodate a smaller cartridge will improve the overall function to strip and feed rounds smoothly. Attention to small details like this will make customers return for other work and the complements spread by word of mouth are the best P.R. you will ever receive! 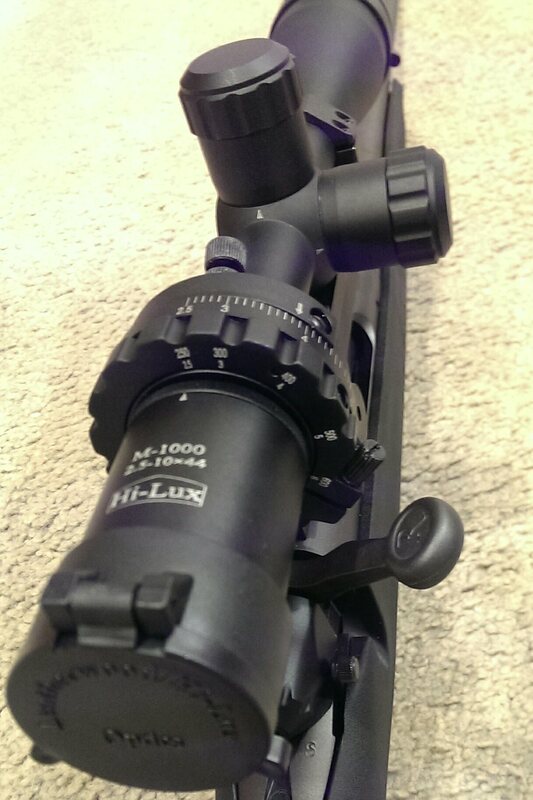 Next month I should have received the Leatherwood Penta Lux 4-20X50 scope and will run it on my 22-284 for some fun range work. 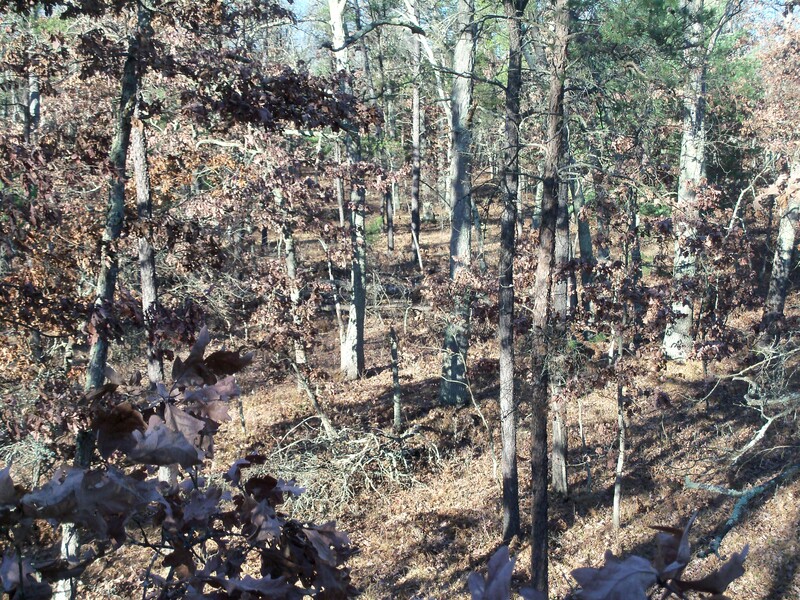 The weathers cool and crisp so get to the woods or range and enjoy some time with your favorite firearm. 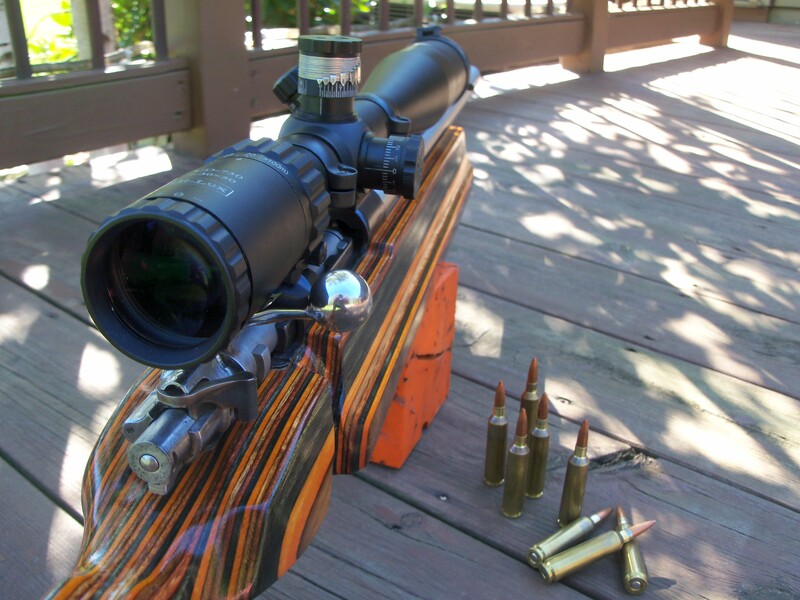 It’s the end of August and time to start thinking about the condition of your optics again. 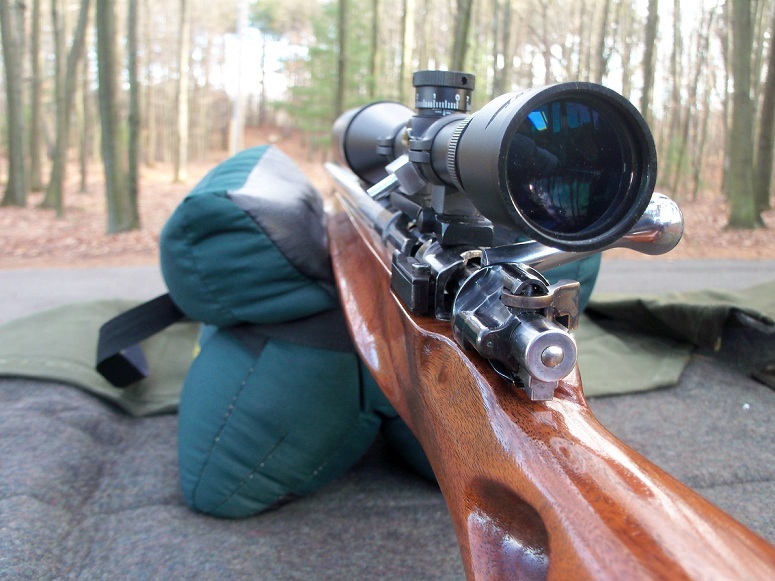 Soon the ranges will be filled with hunters sighting in their rifles and struggling to find that sweet point of impact spot for effective down range hits without thinking about sight adjustments. 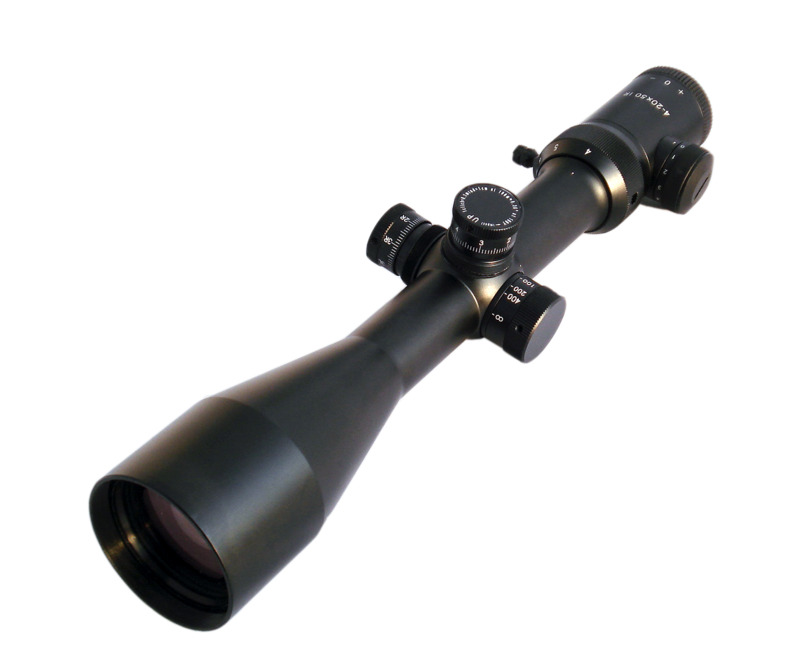 What if you had a scope that would range a target, adjust elevation (bullet drop) and adjust magnification all in one motion. Help is on the way from a company located in sunny California “Leatherwood/ Hi-Lux”. You have read other blog posts I have on the Uni-Dial scope from this same manufacture, unlike the Uni-Dial that needs individual flags to be set for elevation settings to calibrate a specific cartridge. The ART II series scope will auto adjust elevation and magnification with an interlocking cam system specific to Leatherwood. 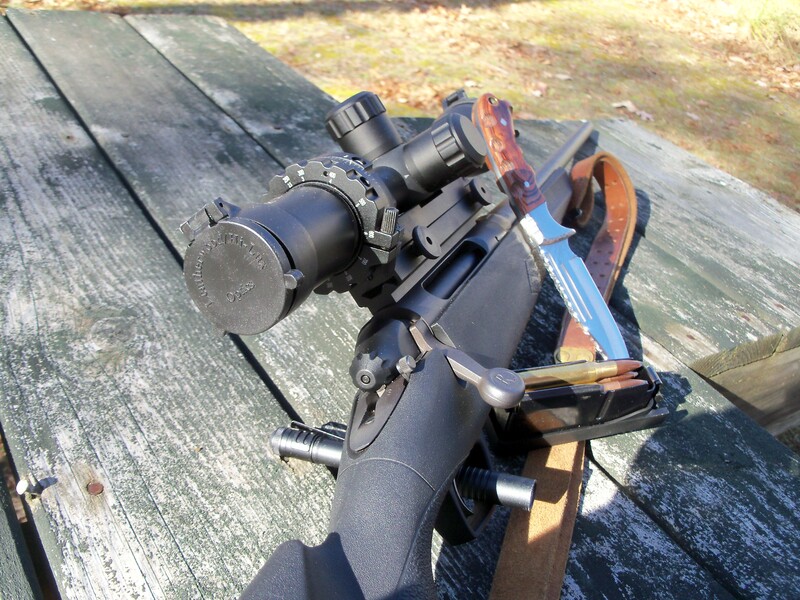 Versatility of application on various rifles is where this ART II scope stands out with a built in weaver rail mount that is at home on a M4 flat top or a Model 70 Winchester. With a line of sight that measures 2.5″ above the bore it is a bit high for a bolt action (nothing a cheek pad won’t fix) however it is perfect for looking thru a A2 front sight on any AR15 style rifle. For some scope specifics there is a reticule stabilizer, glass etched no-math mil dot reticule, 1/4 minute click turrents (zero stop adjustable) and crystal clear 44mm objective glass. The above photo shows the magnification ring attached to the range ring. Viewed from the rear the lower number is scope power and the top number is yardage to a target, note this set-up has you zeroed at 250meters ( aprox. 247 yards). As you turn the dial counterclockwise wise the magnification is increased proportional to the yardage ( in meters) all the way out to 1000meters! Once you determine the cartridge to be used and ballistics are known the manual will provide a calibration number to set the range ring to, this calibration sets down range ballistic drop for your cartridge, no clicking turrents or counting mil dots using mental gymnastics that would have you guiding a cruse missile. If you would like more magnification at any given range you can simply disengage the magnification ring from the range ring and crank up the power, notice the small thumb screw ahead of the cam ring ( it’s a locking range ring set screw to lock in a range while dialing thru several magnification settings) I never noticed a need for it however it available to lock down if needed. 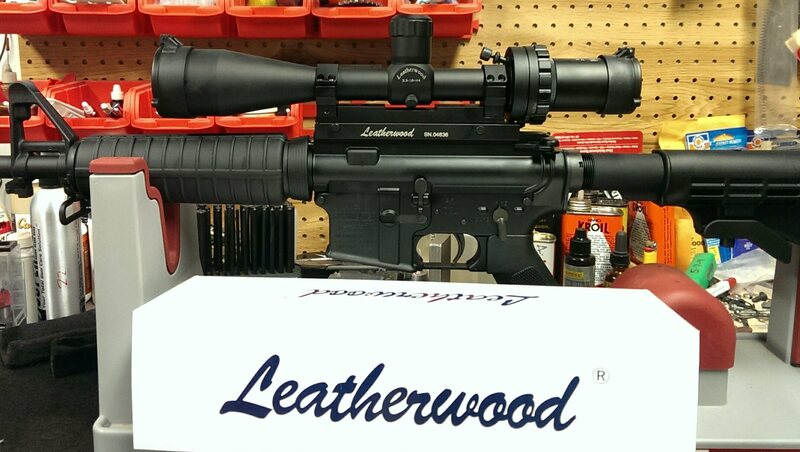 Mounted on a M4 flat top the optics are set perfect to sight over an A2 front sight. If you have never looked thru a Leatherwood/Hi-Lux optic you owe it to yourself to do so. Read some reviews and decide for yourself but don’t discredit this manufacture before sending some lead down range and seeing how well they are build. Until next month get out there and put some lead down range. Right On Dead On All The Time! The State Department is considering revising the International Traffic in Arms Regulations, called “ITAR”. To read the notice in the June 3 Federal Register (http://www.gpo.gov/fdsys/pkg/FR-2015-06-03/pdf/2015-12844.pdf) announcing their intentions. What this means is they could make it illegal to post or publish any technical data about firearms in the public domain without first getting government permission. This could have a huge negative impact on your favorite gun blogs, websites, forums, magazines, YouTube channels, or any other public domain. Any information relating to firearms/guns would need to have permission from the government before publishing any technical data. This looks like another anti-gun attempt to revamp the rules and regulations without involvement of Congress. Why should you be concerned? Well you are reading this blog and if passed this site and many related sites would be gone, banned unable to post without government permission. There is something you can do, you can post a public comment until August, 3, 2015 protesting this change. A large enough public outcry stopped the ban on M855 .223 ammo, it can stop this to! Follow this link to the proposal page and you can post a public comment along with other fellow 2nd amendment right believers. Below is my public post that I submitted and I encourage you to stand firm and fight for your rights. “I strongly oppose the recommended changes to “ITAR Amendment—Revisions to Definitions; Data Transmission and Storage.” As this would put a vast majority of UNITED STATES AMERICAN CITIZENS in violation and subject to prosecution just by posting information on a blog, forum, ect… electronic site. Will the freedom of information act be the next item on your agenda? This will greatly impact the federal revenue (TAXES) you so greatly need as suppliers, manufactures, hobbyist, gun writers, magazine articles, the list go on and on will not be able to interact in a free manner on your so called restricted topics. This will have an impact on purchases of accessories, new innovative products and manufactures of sporting arms (also optics, ammo, gun cases) not being able to advertise products without government approval, I don’t believe that is free enterprise. Restriction and or removing this type of information from access to UNITED STATES AMERICAN CITIZENS will impact firearms schools training technicians, engineers and developers. Will printed hard copies of books and magazines be next? 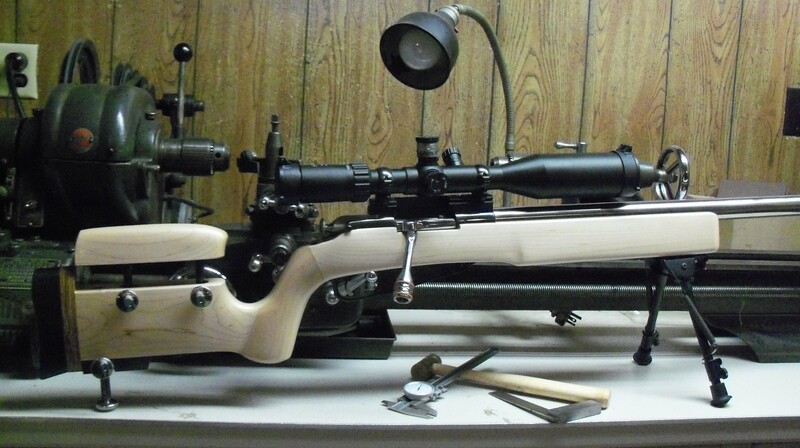 The build began with updating, squaring and sporterizing of the military action: forging bolt handle, tang contouring, polishing feed rails, lapping lugs, receiver squaring and chasing receiver ring threads, drilling / tapping for scope mounts. A #4 contour ( 1.125” dia. ) 4140 steel bull barrel was ordered from E.R. Shaw and since this was a nonstock chambering I needed to ship them the necessary tooling to short chamber this hopeful tack driver. 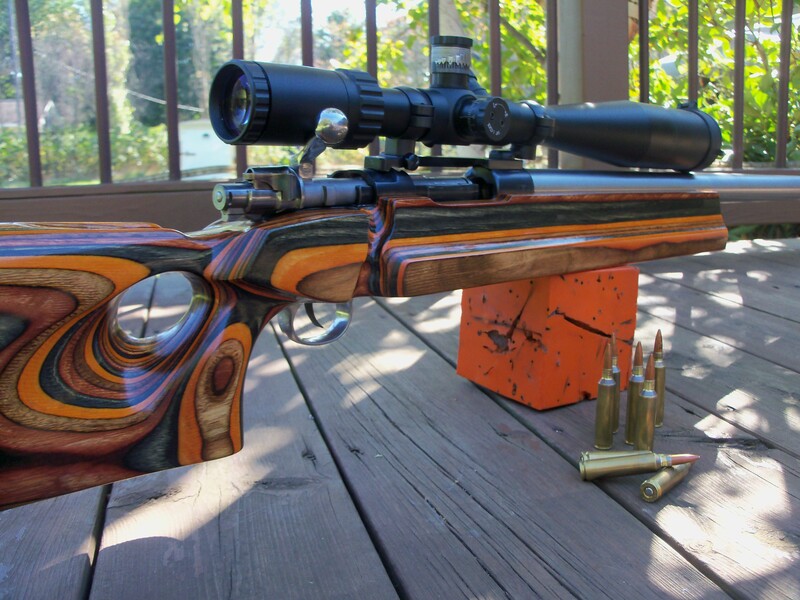 My next call would be to Richards Micro-Fit Stocks in California for a Carlo Walnut Straight Line Thumbhole stock, I made good use of my time while waiting for the barrel and stock to arrive by fine tuning the trigger guard. The trigger bow was reduced in width and tapered to reveal a sleek appearance, it is inspiring to see with each pass of the end mill cutter that the military aspect of the Swede grew more distant and a contrasting sleek look became clearer. The bolt was jeweled and bolt cocking piece laith turned and tapered then fit with a Beuler low safety. All metal parts were bead blasted and blued with the bottom metal floor plate embellished with a hopeful logo “SUB-MOA“. 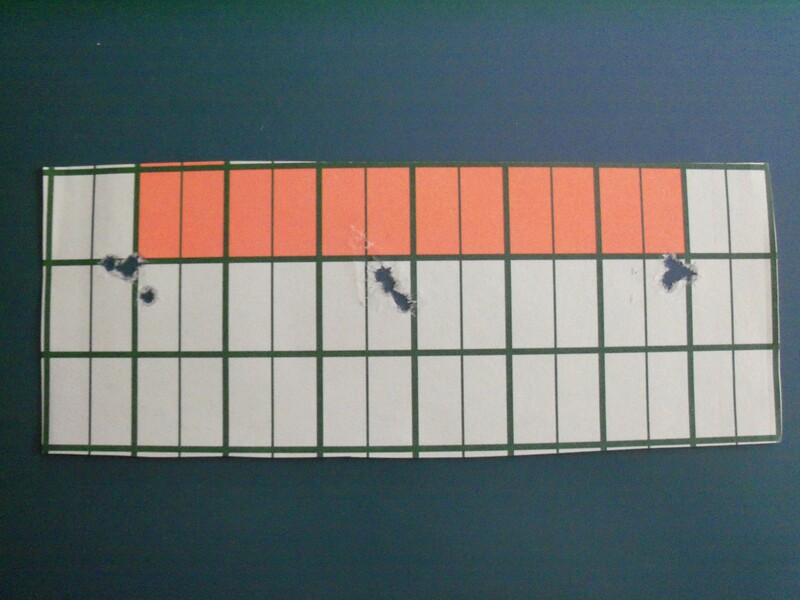 After some searching a low pull weight target trigger was a difficult item to find. 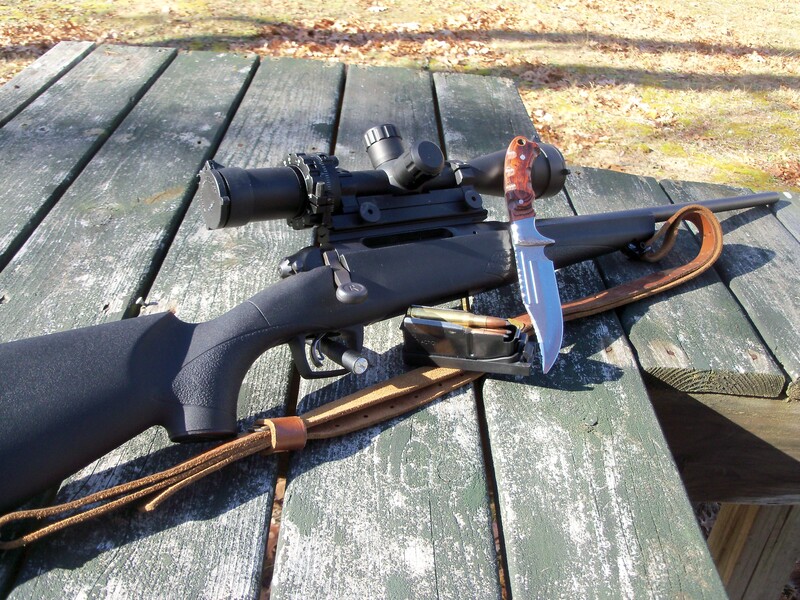 A call to Huber Concepts revealed that minor sear modifications to the M96 Swede would allow me to install a Mauser M98 Match Grade Trigger with a 27oz pull weight. The people at Huber Concepts really know their triggers, are very friendly and willing to offer any help with your current needs. Once the barrel arrived I fit and headspaced it to the action. The Richards stock was shaped, bed and given a gloss hand rubbed finish. 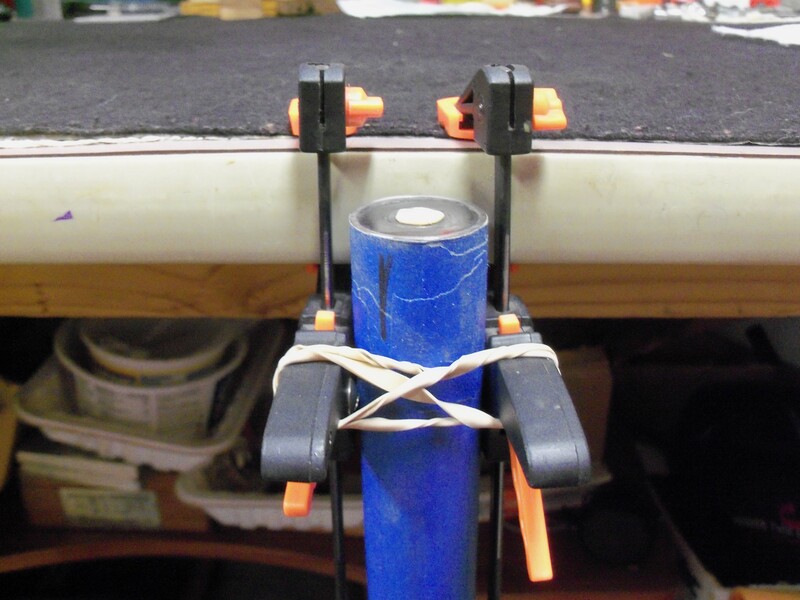 I use High Score Pro Bed 2000 to bed the action from the rear tang to 1.5” in front of the receiver ring; this gives support to the bull barrel while still allowing it to be free floated. A complete bedding of the trigger guard metal has proven very effective on previous Mauser actions I have built so I stick with this method. 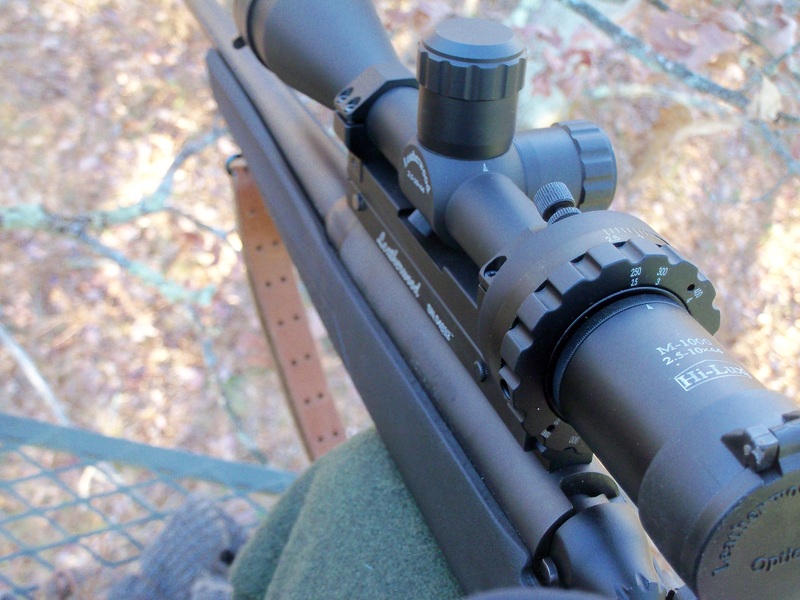 Topping off everything were Redfield rings and base with a BSA Platinum 24×44 A/O scope. 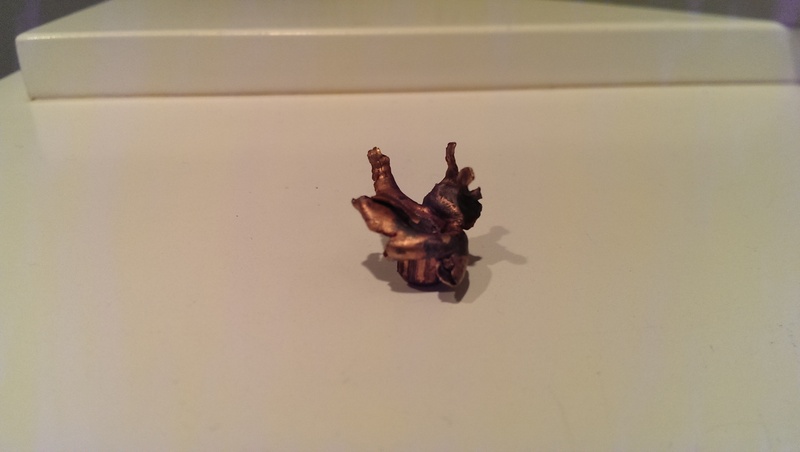 Redding dies would be needed to reload the 300 rounds of new Speer 6.5×55 brass after fire forming. 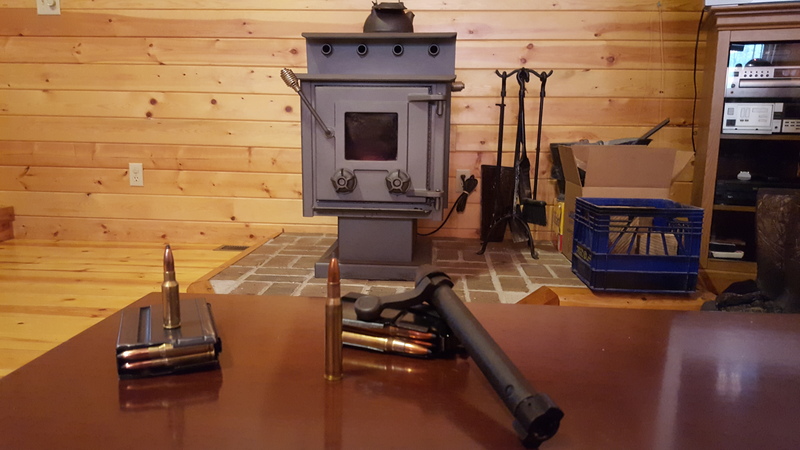 After reading pages upon pages from reloading manuals and consulting on-line information regarding types of powder and burn rates the 6.5 Ackley likes. I decided to start development with IMR 4895 for fire forming and IMR 4831 for newly formed cases, yes I know 4831 has a slow burn rate and I was told to use a faster one, however I discovered many 1000 yard shooters referring to how the 6.5×55 Ackley always seems to like 4831 very very well. Referring to P.O. Ackleys book “handbook for shooters and reloaders“ and www.imr.com starting loads were developed. 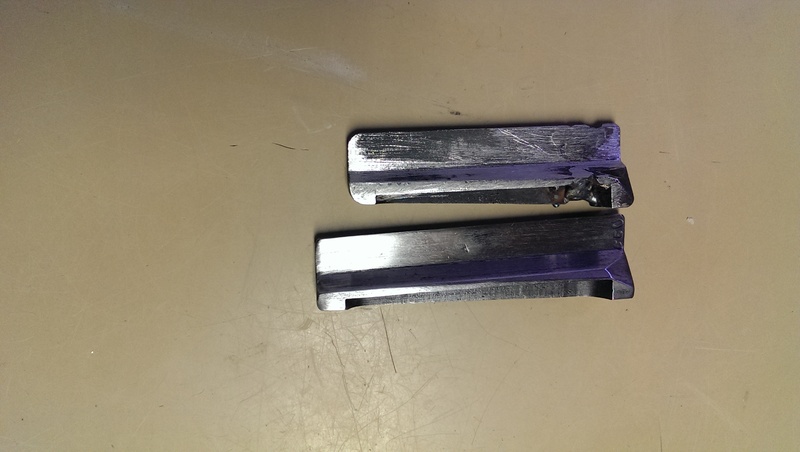 Cases were prepped by deburing the flash holes, annealing the neck and shoulders and neck sized. A charge of 42.5 grains of IMR 4895 powder was ignited by CCI Benchrest primers pushing the Sierra 85 grain Varminter H.P. bullet out of the 1-9 twist tube at a velocity of 2900+ fps. I had decided to polish the chamber to a near mirror finish after researching the topic regarding case/chamber grip, the results proved to be quite pleasing with very smooth extraction and no gas bleeding past the cartridge. The newly fire formed brass reviled a crisp shoulder angle and perfect case form with no high pressure indicators. 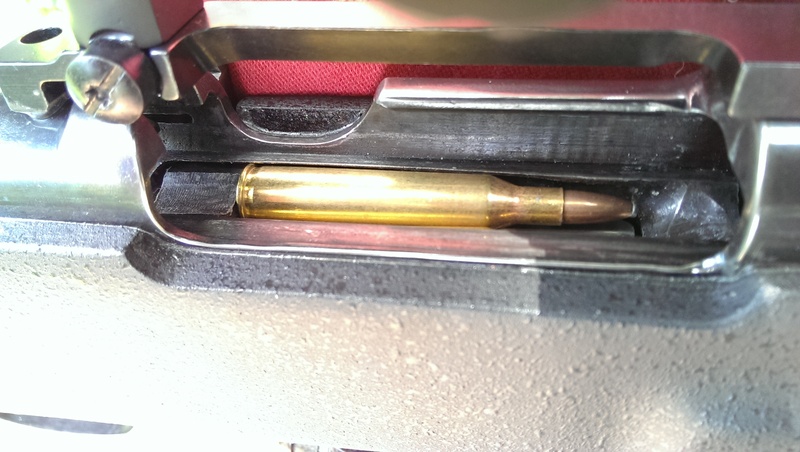 To my surprise after bullet seat depth was adjusted deeper to 2.756” cartridge O.A.L. 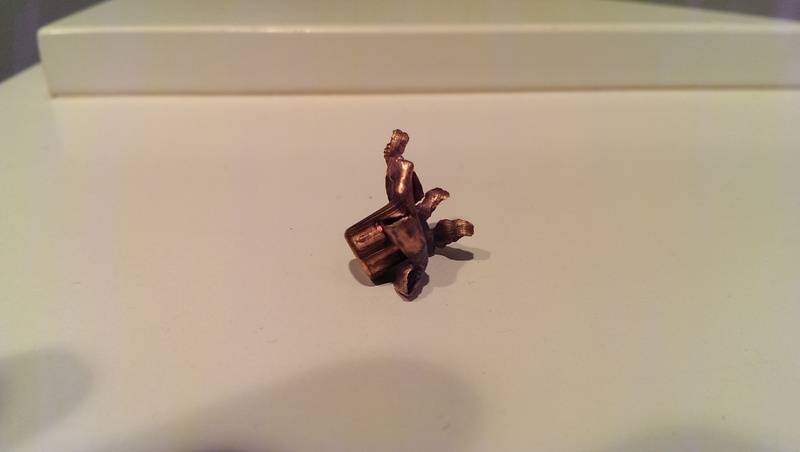 the 85 grain bullets printed quite well out at 100 yards. 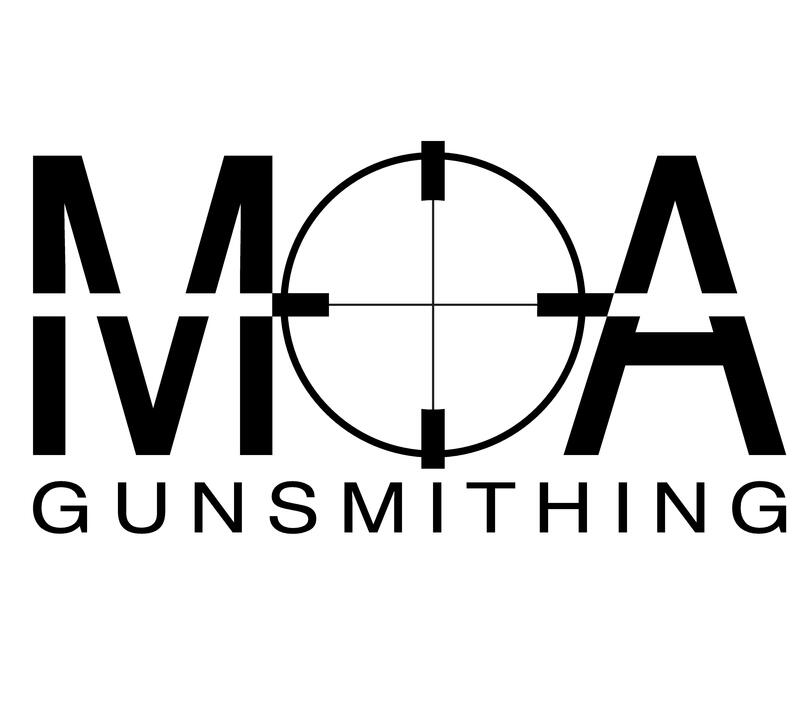 This proved to me that “SUB-MOA” was well with in sight as a 3 shot group measured 0.122” center to center! 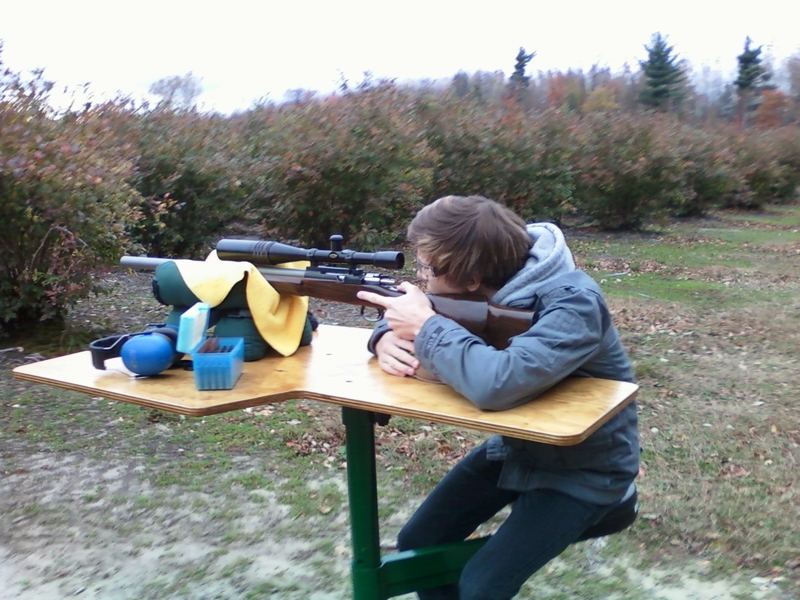 A further adjustment of the bullet seating depth was made; I went .014” deeper to obtain an O.A.L. of 2.742”. Range results proved that occasional bug holes were the norm. so the previous 2.756” would stay. I had good intentions of trying different powders during fire forming but its rare that the first load development works so well. With an accurate load for fire forming brass finished the next step is fine tuning a load for the Ackley cases. The newly formed Improved cases were cleaned and neck sized only. A charge of 46.5 grains of IMR 4831 was found to be an accurate load at 2730fps producing a 0.132” 4 shot group at 100 yards. The Sierra 123 MatchKing bullets settled in at 0.025” from touching the lands in the bore, further powder increases proved that at 48 grains of IMR 4831 and 2800fps another accurate 4 shot group printed at 0.149” at 100 yards. It seems IMR 4831 is the powder of choice for this rifle, again I stumbled across an accurate load with my first powder choice. 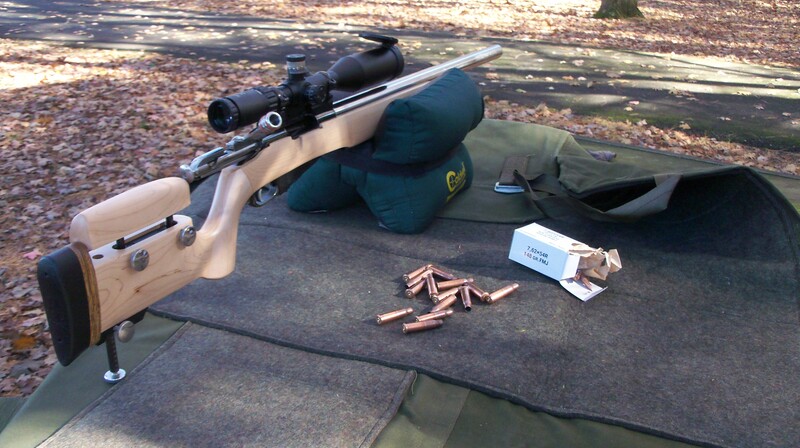 In conclusion the loads developed for this rifle are safe in THIS RIFLE and should be worked up gradually if used in another rifle, while checking for pressure signs. This was a very enjoyable and rewarding project build and proves that an M96 Swedish Mauser action can be built up to be a very accurate and safe shooter. 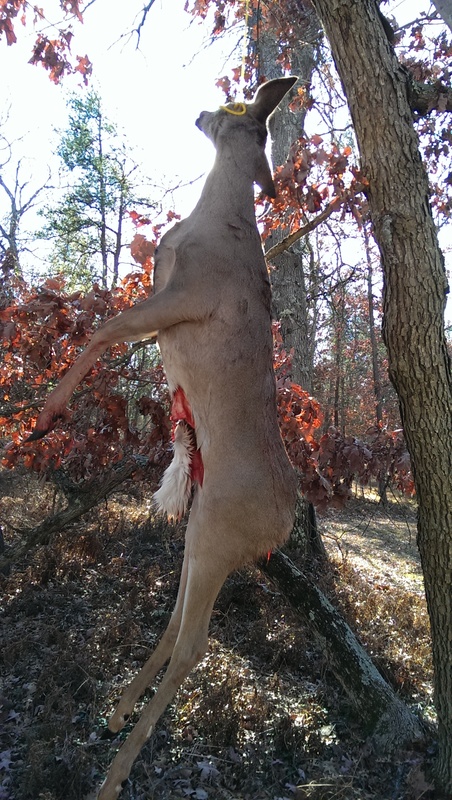 With less than ¼” groups a common sight it proves that a 6.5×55 Ackley Improved can really drive tacks! As I look out the window and winter melts away I think about egg shoots coming up in Michigan in a few months, I may just show up at a match with Miss Ackley and enjoy a day with this fine shooting ¼ minute Mauser.